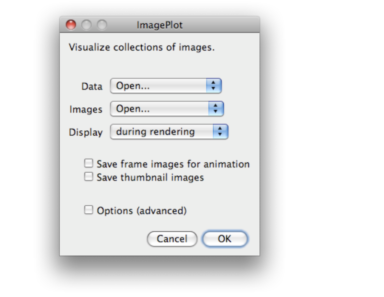 ImagePlot is a free software tool that allows users to visualization collections of images and video of any size. It was developed by the Software Studies Initiative with support from the National Endowment for Humanities (NEH), the California Institute for Telecommunications and Information Technology (Calit2), and the Center for Research in Computing and the Arts (CRCA). For more information on the project and what ImagePlot can do, please see our our download page.